Before hiring Accent in 2006, Western Municipal Water District had an “as-needed” approach to implementing their technology needs. Over time, the expanding complexity and reliance on technology outgrew the capabilities of their previous IT provider - they were no longer able to provide the level of support that the District needed. The District realized that they needed to find a new kind of IT outsourcing. As part of a proactive technology implementation and management planning process, the District developed an internal IT staff and transitioned from their previous IT provider to Accent Computer Solutions. Accent was instrumental in setting up a modern network for the District. They set up and began to manage the District’s exchange, file servers, firewalls, and spam filters within a matter of days. “From an IT perspective, Accent provided full-service IT support to help us get all of the pieces together to support all aspects of the District’s needs,” says Greg Duecker. Accent provides the District with reliable 24/7 support and uses IT best practices ensure system uptime and reliability. They also provide specialized expertise in areas that the District’s internal IT staff does not have. The District is able to stay on top of their operations with Accent providing a second layer of capability as a backup to the District’s internal IT department. The offsite monitoring and maintenance, along with regular system checks and key updates, has been an invaluable resource to their agency. "It helps me sleep at night knowing our systems are monitored and protected," says Greg. And even when an issue arose on an early Sunday morning, one of Accent's engineers got right on it and resolved it within 10 minutes. 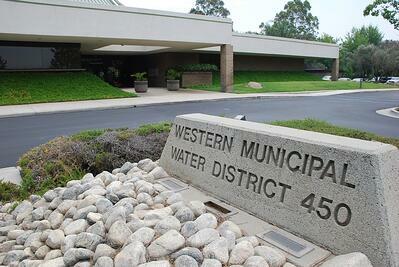 Western was formed by the voters in 1954 to bring supplemental water to growing western Riverside County. Today, the District serves roughly 24,000 retail and eight wholesale customers with water from both the Colorado River and the State Water Project, as well as groundwater within our Murrieta Division.